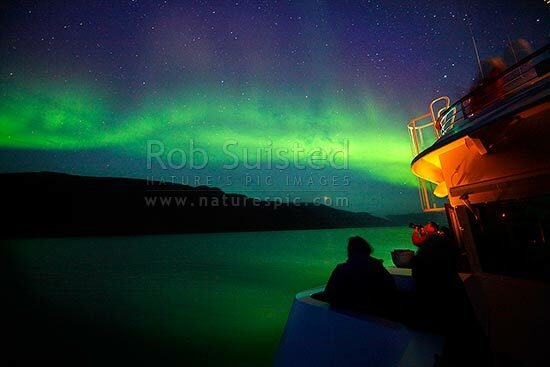 The Northern Lights (Aurora borealis) playing above the ship's bridge. Kangerlussuaq Fiord. Silversea, Prince Albert II, Kangerlussuaq, Greenland, stock photo.